CrossFit Greenlyn: How to get the most out of your CrossFit WOD? 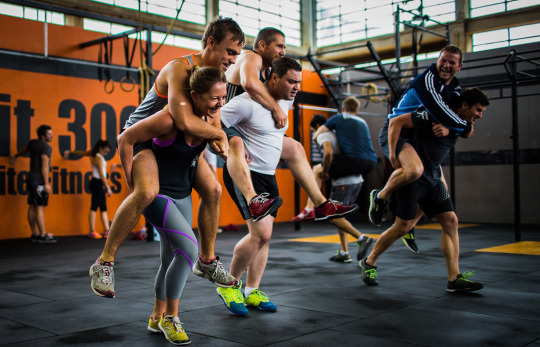 How to get the most out of your CrossFit WOD? If you are like most CrossFitters, you probably only have 60-90 minutes — give or take a few — from the minute you walk in the door until the minute you leave. While some days may provide the luxury of allowing you to hang back for an extra half hour or so to chat with your fellow box mates or work on your skills, for the most part, the hectic schedule of the average CrossFitter only allows them a precious 1/24 of their day to commit solely to improving themselves and doing what they love. 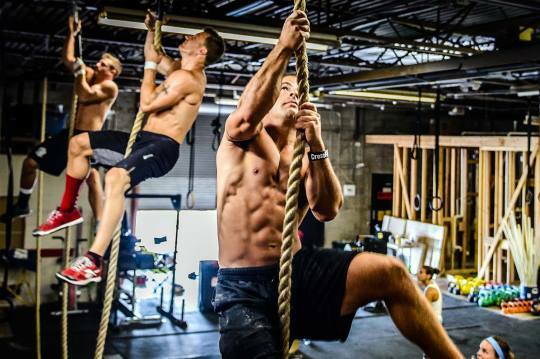 However, this concept — that it only takes an hour to get in a great workout — is part of the beauty of CrossFit. The idea that we no longer have to slog away on the elliptical for two hours while watching The Price is Right and checking our watches every five minutes is what makes CrossFit so unique. But it is essential that we commit ourselves to getting the most out of the 3,600 seconds we’re given each time we walk through the door. Your workout begins with the warmup. There’s a famous saying in CrossFit: “Our warmup is your workout.” However, in recent years, I’ve begun to notice that the warmup is often overlooked. People will saunter in and half heartedly lace up their Nanos only to begin chatting with friends and using the foam rollers to prop themselves up during conversation rather than actually foam roll. While I certainly encourage socialization and a sense of community in the gym, remember that it is possible to socialize and still get things done. Start your warmup with a quick jog or some sort of cardio (rowing or airdyning are also great options). From there, some dynamic movements can really get you warm. Air squats, walking lunges, burpees, and double unders are all great ways to get your body moving and ready to go. The warmup is also a great way to work on our weaknesses. For many, the reason you can’t do those handstand pushups or double unders is because of either bad form or lack of familiarity. Performing quick EMOMs with a focus on form and just getting used to the movement can really help to improve your gymnastics skills by ten fold. So grab a friend and start to work on those toes to bars together or spend three dedicated minutes practicing kicking up to the wall. This is also a great time to ask your coach or other experienced questions about movements you struggle with or to get them to watch you practice and have them give you suggestions. The final piece of the warmup is mobility. While your class will probably do mobility as a group targeted specifically at whatever movement appears in the WOD that day, it is equally important that you perform your own mobility to target your tricky spots. If you don’t already, I highly suggest you follow WOD Doc on Instagram (@woddoc) and Kelly Starrett (@mobilitywod). Both give great advice on mobility and can really help you to understand the importance of mobility for your body. In most gyms, the coach will give athletes 10-15 minutes to warm up on their own before starting class with a group warmup. This warmup is equally as important as your own warmup. I often see people cutting the reps or halfheartedly burpee broad jumping across the floor. Don’t be that person. Here’s what you need to know: For the most part, the warmup that the coach gives you each day is tailored specifically to whatever movements are going to be performed in the workout. Those broad jumps you just sandbagged? Those were placed purposefully there to get you to begin using explosive hip power for the snatches you’re going to do in ten minutes. The mobility and dynamic movements your coach is giving you will only help you to perform better in the workout. Pay attention. That is the only advice I can give. Listen actively and ask questions if needed. This is not the time to be changing your shoes, going to the bathroom, or worst of all, chatting with your friends. Whether this is your first day or your 500th, it is equally important to listen to what the coach is explaining for whatever sort of strength or skill work you will be working on that day. Even if you have done snatches 10,000 times, you can probably still pick up little tips and tricks here and there from each coach you take class from. Your coaches are constantly reading and learning new things and are there to help you. Slack off during this part and you might just miss the piece of advice that could mean the difference between a PR and missing that lift. Pay attention to what the focus of the day is. Not every day is the day to max out and PR our lifts. In fact, those days will likely be few and far between. If the coach tells you to stay at 60-70% for your 5×5 back squat, that is not a sign for you to try your one rep max five times. Some days are for building strength; others are for testing it. When asked what the secret to his success was, Mat Fraser told reporters that his secret was going after every WOD with a purpose. Never do a WOD just to get through it. Each WOD is programmed with a purpose, and it’s up to you to fulfill it. If your coach tells you that you’re supposed to be moving through your clean and jerks quickly and with ease, then pick a weight that allows you to do just that. Sometimes this will mean that you cannot RX the weight, and that is okay. It is more important that you move through the WOD with intensity and good form than get the top score in WODIFY. Never be afraid to scale your WOD to what’s appropriate for YOU. Not your neighbor, not the guy behind you who can clean and jerk 300 pounds. You are the only person who matters and the only person who can determine what the appropriate scale is. Pick a weight and a number of reps on the gymnastics work that will allow you to move through the workout with intensity. If you have time after your workout, this is an excellent time to mobilize. Target tricky areas and areas of pain. This is also the time to dial in on your nutrition. Whatever kind of diet you follow, carbs and protein are essential for post-WOD nutrition. Sweet potatoes and a protein shake make an excellent post workout meal and can help contribute to your strength gains in the future. Most importantly, remember that CrossFit is supposed to be fun. And while we shouldn’t take it too seriously, remember that you have limited time to get everything done. By dialing in on our weaknesses during the warmup and really paying attention to the purpose of our workouts, we can see greater improvements in the long run and hopefully become better CrossFitters as a whole.